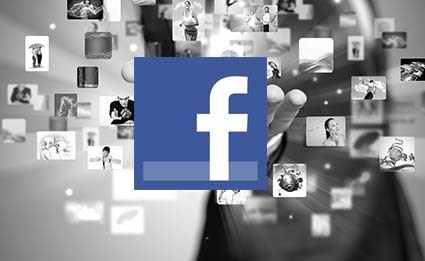 Social Media Data Analytics services (Facebook) helps organizations correlate the change in Facebook fans growth to Sales helping them forecast sales targets, optimize inventory levels, target social media marketing campaigns and plan marketing spends more effectively to achieve the desired results. Organizations are increasingly using Social media as a platform to promote their products and services and increase brand awareness eventually leading to sales. With gaining popularity marketers are now applying extensive analytics to social media data to uncover trends, patterns and impact of social medial marketing campaigns on business performance and growth which was earlier ignored or underplayed. 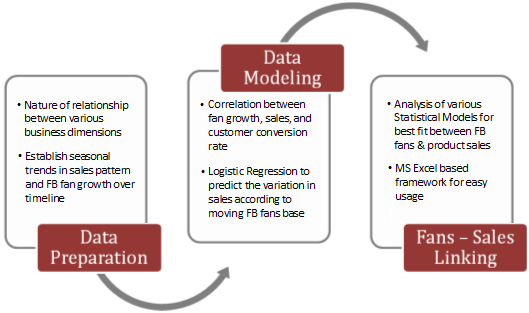 Market Equations helped a E-Commerce fashion retailer in the UK institutionalize Sales and Marketing Analytics by building a correlation model linking Facebook "likes" and "fans" growth to Sales. This helped the organization allocate their marketing spends effectively into channels that maximize returns, achieve sales targets and retain the most profitable customers. Sales data, website conversion data and Facebook fans data was provided by the client for a period of 12 months at a daily level. Data audit was conducted on the data to establish data sanity and structure data for further analysis. Data trends were studied further and abnormal spikes in sales caused by seasonal variations were not considered to ensure the results were not skewed by these events. The analytics of social media data was presented in a dashboard format to help the client enter various scenarios to arrive at a number of fans per month that would be required to generate "X" amount of sales. The models helped the client set realistic sales targets and helped them channel and schedule their marketing budgets effectively across platforms. The company was able to scale the business by more than 150% in 8 months and have received a fresh round of (Venture Capital) VC funding.